TYPE: Luxury boutique spa resort. ROOMS: Individual 1500sqf villas with their own private mineral hot spring-fed plunge pools and expansive outdoor teakwood decks. Massive bathrooms with indoor and outdoor double rain showers, king size four-poster beds and large living room sitting areas. POOL/GYM: Two pool areas and gym at the Springs Spa. RESTAURANT: Five restaurants on premise: visit Amor Loco for stylish, exotic fine dining, Sushi Amor for Latin/Asian fusion, Altamira for an upscale casual environment, and the wine and tapas bar, Nostalgia. Terrace Restaurant serves light lunch fare poolside. BAR: Stylish exotic bar in Amor Loco. Another is located at Nostalgia, which features a partially self-service wine bar, offering a unique tasting ability with an automated state-of-the-art pouring system. VIBE: Private, romantic, and exotic. SPA: Full service spa with large, beautiful, open air treatment rooms complete with jacuzzis, all overlooking the rainforest. 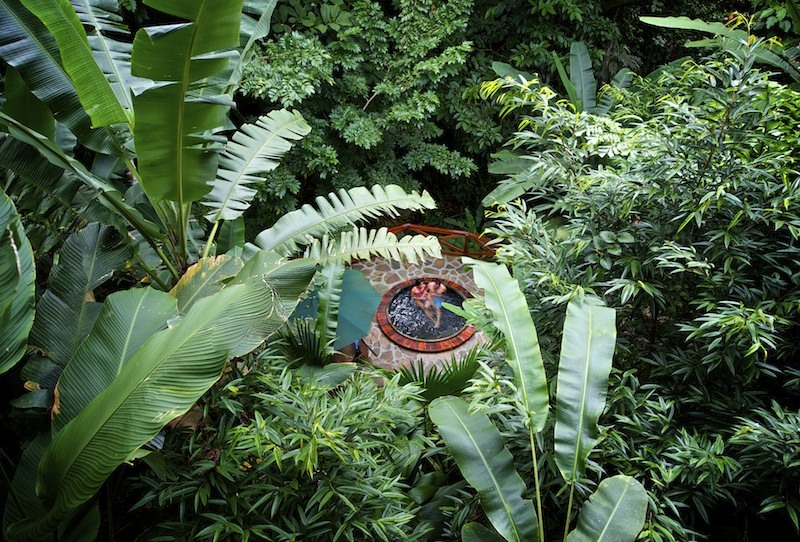 No need for recorded relaxation music here, the rainforest provides it naturally. Yoga and Pilates classes are on offer daily. KIDS: The Nayara Springs resort is adults-only, though it is connected to Nayara Hotel, a sister property which is very good for families. LOCATION: Arenal National Park, near the Arenal Volcano. A 2.5 hour driving journey from either Liberia (LIR) International Airport or San Jose (SJO) International Airport. Luxuriously set amidst the rain forest with a very secluded feel, Nayara Springs is an award-winning design by architect Angelo Segovia. Connected by a 250 foot long pedestrian bridge over the rainforest canopy, the hotel blends naturally into the environment, creating an exclusive, immersive feel. There is good reason Nayara is lauded the world over. With a staff ratio of three to one, customer service is unparalleled. The villas are simply spectacular, with a beautiful aesthetic. The amenities are unbelievably impressive, with breakfast, laundry, minibar, and personal host services all included. Truly a spectacular, off-the-beaten-path retreat.